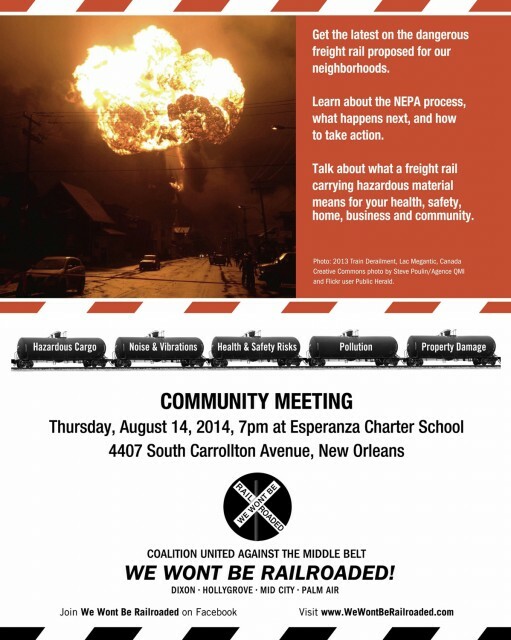 Get the latest on the dangerous freight rail proposed for our neighborhoods. Learn about the NEPA process, what happens next, and how you can take action. Talk about what a freight rail carrying hazardous material means for your health, safety, home, business and community. Please join us as we distribute postcards door to door in the impacted area of Mid-City. 1pm, Sunday, August 3rd, St Patrick Park.